Willard Bay comes alive in the winter with the annual “Fantasy at the Bay” holiday light display located at the North Marina. The lights can be viewed nightly from Thanksgiving through New Years Day. Fee per carload is required. The Fine Arts Center in Brigham City has the largest permanent puppet collection in Utah in its “World of Puppetry” Museum. The 2000 square foot area dedicated to puppetry has over 150 of its 400 plus puppets on display. Full of color and imagination the museum is sure to stimulate the imagination of persons of all ages. Museum visits often include puppet demonstrations, a Punch and Judy show, puppet making activities, and other puppet story telling. Most visitors stay 45 minutes to an hour and a half. The Fine Arts Center also has a theater in the three quarter round and offers arts and theater related classes and programs Watch for great periodic weekend theater productions. The museum is open the first and third Saturday of the month from 2 to 5 pm and by appointment . Originally used as a winter camp by the Shoshones, Crystal Hot Springs is the world’s largest, natural hot and cold springs. Mixing water from the two springs allows for a variety of pools with temperatures ranging from 80°F to 105°F. 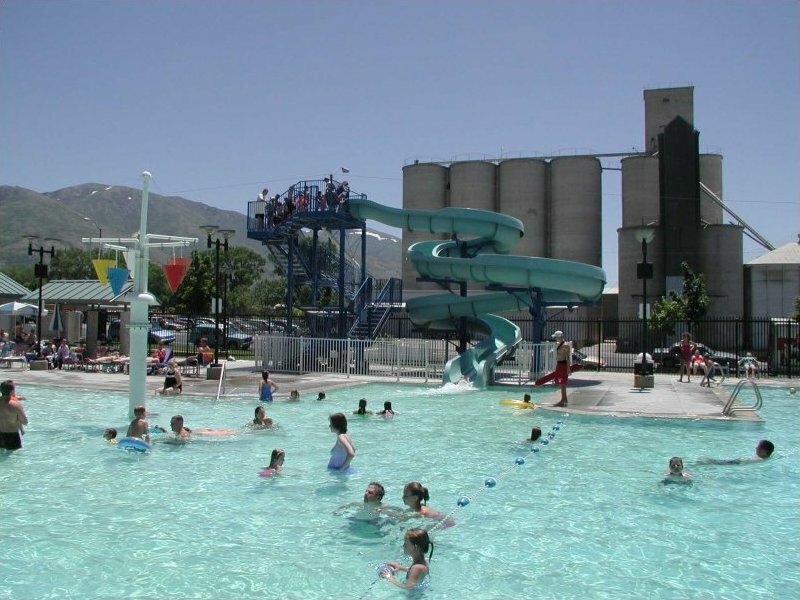 The complex, which is about 8 miles north of Brigham City, has its own campground, a series of three hot tubs, a large soaker pool, a cold freshwater swimming pool, tow water slides and a lap pool. The complex remains open year-round, but hours vary, so it’s best to call ahead. Take Highway 83 West, through Corinne, taking the left fork coming out of Corinne. You will eventually see the rocket motor display on the right. ATK has a free outdoor display of solid rocket motors at its facility. Within an 8 mile radius, you can experience one hundred years of transportation history by visiting the Golden Spike National Historic site, where the transcontinental railroad was completed in 1869, and visiting the rocket display at ATK, where scientists helped put a man on the moon exactly 100 years later in 1969! The pool opens at noon, Monday through Saturday, between Memorial Day and Labor Day. The pool features a 150- foot water slide, two tot slides, two in the water splash features, 2 one-meter diving boards in the diving well, and 50 meter lanes. Swim Lessons water aerobics, and lap swimming are available before noon.